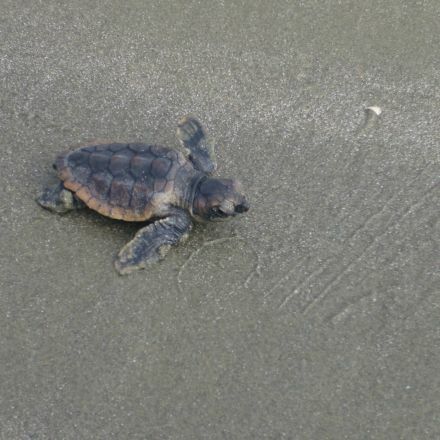 Pictures I took years ago of a baby sea turtle. He was pretty small; when I took the picture he was most of the way down the beach from the nest where he had hatched. Judging from some of my other pictures, he was maybe 2-2.5 inches long.